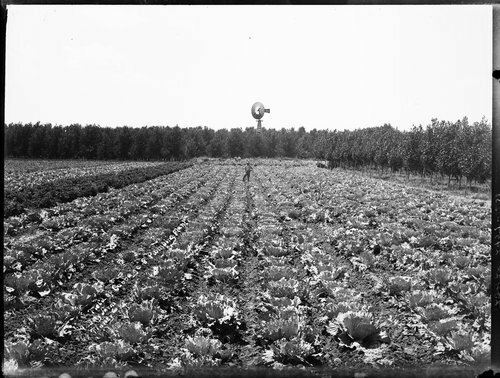 This photograph is of a cabbage field and pumping plant on Doty's farm in Finney County, Kansas. The pumping plant is obscured by a tree line but the windmill is visible. A man is visible standing in the field.